Craig Gustafson is especially passionate about providing zealous legal representation and protection for persons who have been abused and neglected in nursing homes and assisted living facilities. It is a sad fact that many nursing home and assisted living residents in the Kansas City area do not get the basic care and attention they need and deserve. They needlessly suffer injuries that cause substantial pain and diminished quality of life, and sometimes death. These innocent victims are often hesitant to speak out – they may fear retribution from the nursing staff for complaining. This is corporate greed at its worst – the nursing homes are often understaffed, and the residents who are greatest in need and the most vulnerable suffer the most. Bed sores (decubitus ulcers) from being bed-ridden and not adequately turned on a regular basis. Falls with broken bones due to inadequate assistance. Malnutrition and dehydration – failure to provide basic nursing and care services. Elopement by residents – inadequate security. Failure to respond to calls for emergency assistance. Failure of the nursing staff to properly assess medical needs on an ongoing basis. 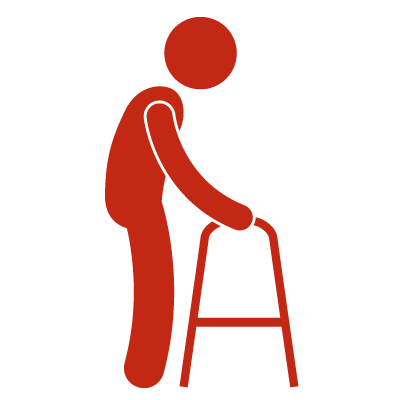 Nursing home abuse and neglect claims involve a specialized area of the law. There are many state-specific statutes and regulations which govern nursing homes and assisted living facilities, and it’s important to hire an attorney who has access to reliable advice from experienced experts. Gustafson Law has relationships with the right experts. Do NOT hire a law firm that specializes in run-of-the-mill auto accident litigation. Nursing home claims rarely settle without a lawsuit being filed. If you or a loved one have been injured in a nursing home or assisted living facility, you need an experienced and dedicated attorney with the specialized knowledge who will aggressively pursue your claim and protect your interests. Call Craig Gustafson at 816-960-7121. Craig can meet with you at your home, at the nursing facility or wherever is most convenient for you and your family. If you have a family member or loved one in a nursing home or assisted living facility, embrace the role of being a patient advocate. Don’t be shy — ask questions, politely demand answers, and make unannounced visits on a regular basis. It’s important for the nursing staff to know that a friend of family member is keeping a close eye on your loved one. If you or a loved one has suffered an injury, take photos and plenty of them. You need photos of the injuries/wounds — and if the injury was caused by an unsafe condition at the nursing facility, take photos of the dangerous condition. In the event of an injury, promptly engage an attorney who is knowledgeable about nursing home litigation. Call Craig Gustafson at 816-960-7121. He will walk you through the steps that need to be immediately taken to protect your rights. For example, it is often times useful to make a complaint with the appropriate state agency that governs nursing homes. Craig can help with this process, and he can gather relevant information about prior complaints made against the nursing home. These activities are often useful in helping to expedite and maximize your recovery for damages.